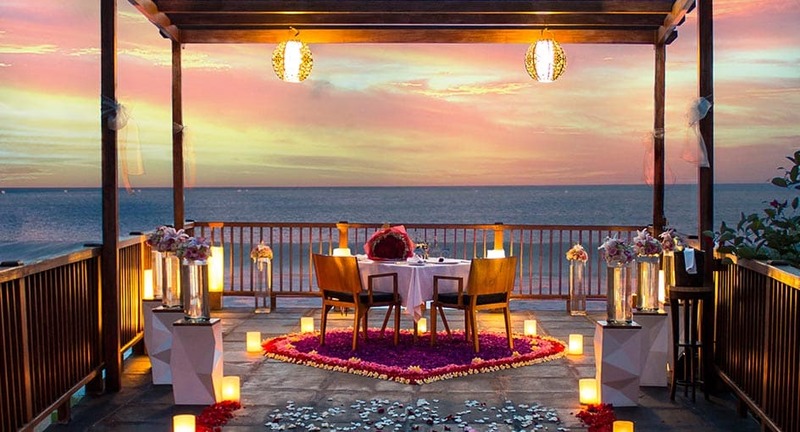 Romance for two in Bali. Anantara's signature private dining experience offers extraordinary al fresco settings to choose from. Dine on a clifftop, on a pool island under a frangipani tree, or at ocean's edge. Choose from a collection of gourmet menus, or design your own with your chef for the evening. A candlelit table awaits, attended to by a butler.